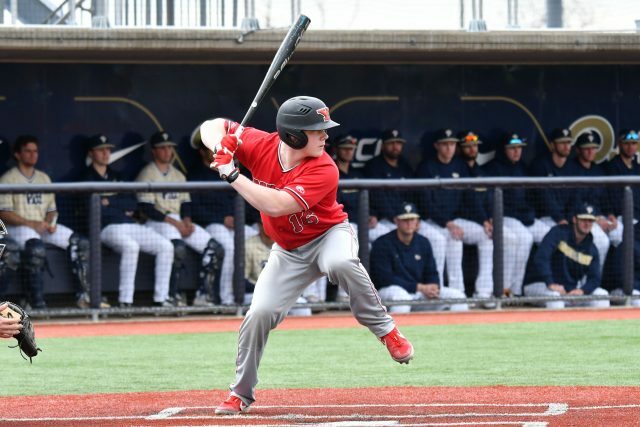 While many students went on vacation during spring break, the Youngstown State University baseball team hit the road to play five games in three different cities and returned to class with their first win of the season. The Penguins took down the University of Pittsburgh Panthers by a final score of 4-2 on a brisk afternoon at Charles L. Cost Field, thanks to some great pitching by YSU’s bullpen. Multiple pitchers were used: Brandon Matthews pitched four steller innings, only allowing one run on three base hits after Joel Hake and Dalton Earich pitched a shutout inning each. Brett Souder would come in to relieve Matthews and pitched one shutout inning. Greg Dunham entered the game after Souder and gave up the Panthers’ (7-11) second run. Marco DeFalco was placed into the game, and pitched two shutout innings to record the first save of his career. On the offensive side Dylan Swarmer, Trevor Wiersma, Drew Dickerson and Lucas Nasonti each recorded an RBI during the ballgame. Matthews recorded the first win of his career. YSU made the short trip to Kent State University on Tuesday and fell in a 10-5 contest to the Golden Flashes (7-10) by a final score of 10-5. Blaze Glenn had three RBIs, and Wiersma blasted a solo home run. 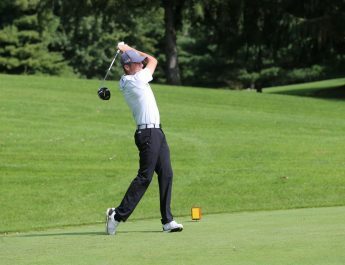 The Penguins once again hit the road and traveled down to Northern Kentucky University over the weekend to play a three game series to open Horizon League play. The Norse (4-12, 3-0) would go on to sweep the Penguins (1-17, 0-3) to end spring break. NKU used great hitting to charge past YSU by a final score of 13-5 in the first game of the series. Tanner Montgomery, Phillip Glasser, Jeff Wehler and Wiersma each had an RBI in the contest. Game two was a back and forth affair and several lead changes led to a 7-6 NKU walk-off win aganist YSU. Zach Lopatka, Steven D’Eusanio, Nasonti, Wiersma, Swarmer and Wehler each had an RBI, with Wehler’s RBI coming from a solo home run in the third inning. The final game in the series was a pitcher’s duel, as Jon Snyder pitched four innings of no-hit baseball in a 2-1 loss. YSU’s lone run was scored by Glasser due to a fielding error by the Norse in the fifth inning. NKU would later plate two runs in the bottom of the eighth off of Matthews, with that being the deciding factor in the third game of the series. The Penguins will host the Oakland Golden Grizzlies (0-17, 0-3) in their home opener at Eastwood Field on Friday to kickoff a three game series. First pitch is set for 3 p.m.